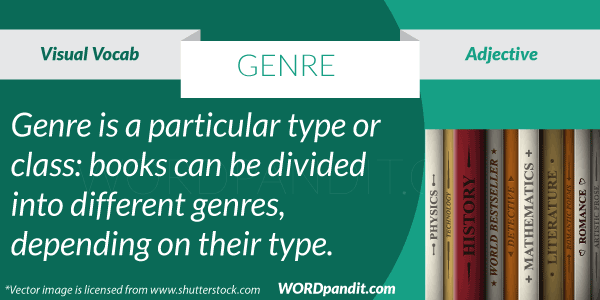 GENRE can be simply learned by expanding the word as GENERATION. Every generation has its own art and literature style. Look at history if you have any doubts about that. It’s strange if you don’t know actually. And that art and literature style is the meaning of the word. 1. The novel did not really exist as a genre before the 17th century. 2. There’s a whole game of films about city-dwellers lost in the wilderness.